June 15, 2017 was a red letter day as it was the submittal deadline for the Small Business Innovation Research (SBIR) grant by the National Science Foundation for the Thermal Wall Technology. The application was filed the afternoon of the 15th. Just a few weeks earlier Dr. Brandon Field, Associate Professor of the Pott College of Science, Engineering and Education at the University of Southern Indiana, finalized modeling on the heat pump efficiency enhancements related to the Thermal Wall Technology. The results were far more impressive than anticipated and indicated efficiency enhancements in the range of 39 to 60%. Couple this with the modeling indicating solar thermal hydronic collector efficiency is increased by 69% and space cooling is virtually eliminated; a lot of excitement was generated. Daniela Vidal, Steven Stump, Dr. Brandon Field and Rebecca Deeg of the University of Southern Indiana for their efforts and assistance with the grant application process. Jezi Martinez for his continued help with the website and social media. Kristen Parmelee of Parmelle Consulting Group for her grant writing skills. Alan Wolfinger, Ken Wertheim and Dr. Brandon Field for pulling together a great research team. Sam Ruark, Executive Director of GreenBuilt Alliance and Bruce Anderson, President of POLYCRETE for providing third party support. Special thanks go out to David Gordon, President and CEO of Katahdin Cedar Log Homes for stepping up as a Platinum Sponsor and all the support from inception to this point. Special appreciation go out to Mary Beth Reese, of the University of Southern Indiana, and Aprile Sandefur who have both supported this project from its inception. 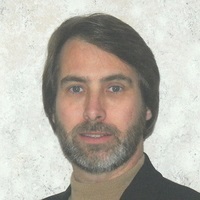 A Phase I SBIR grant award would be utilized to develop a dynamic computational model in order to optimize and assist in design of the 3rd Millennium Project Thermal Wall Technology demonstration structure and to develop a predictive controller capable of managing the energy collection, storage and heating/cooling functions.